November 1 is World Vegan Day. Improving everything from cholesterol and heart rate to concentration and a solid night’s sleep, there seem to be plenty of health benefits to ditching dairy, meat, and eggs. However, one thing that many people worry about when going vegan is getting enough protein. Surprisingly, many top athletes — including world champions, martial artists, and an Olympic weightlifter — don’t seem to be worried in the slightest about getting enough protein from their vegan diets. Business Insider has compiled a list of world-class vegan athletes who are at the top of their game — and have a fully vegan lifestyle to thank for it. From football strikers to weightlifters, scroll on to discover 14 athletes who are vegan — and what made each of them switch to a plant-based diet. Venus Williams is an American tennis player who has won seven Grand Slam singles titles and 14 Grand Slam Women’s doubles titles. She has also won the prestigious Wimbledon women’s singles title five times and has four Olympic gold medals. Williams has an estimated net worth of £72 million ($95 million), and is the second highest-earning female tennis player of all time behind her sister Serena. The tennis star adopted a raw vegan diet after she was diagnosed with Sjögren’s syndrome in 2011 and doctors advised it would relieve some of her symptoms such as extreme fatigue and joint pain. In an interview with Health magazine about the disease and her raw vegan diet, Williams said: “I was diagnosed with an autoimmune disease, and I wanted to maintain my performance on the court. Once I started, I fell in love with the concept of fueling your body in the best way possible [through raw, vegan food]. 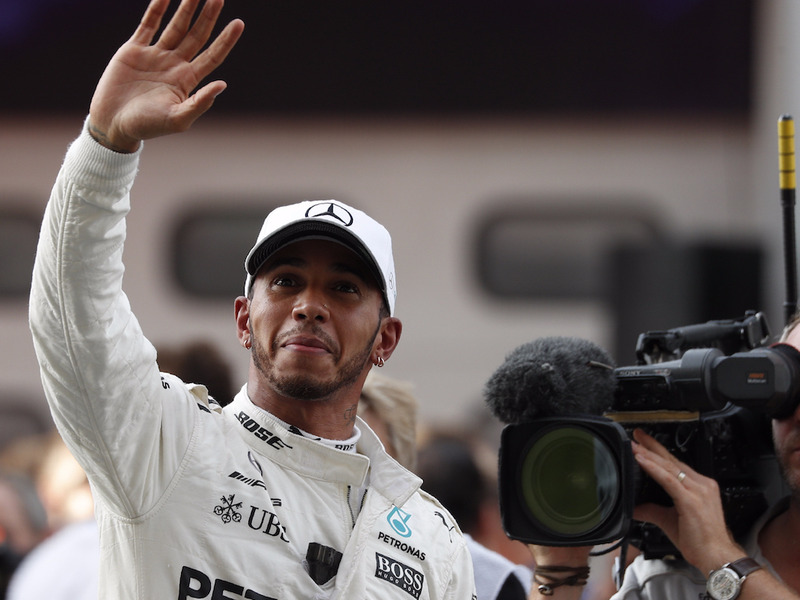 Four-time Formula 1 world champion Lewis Hamilton won his fourth title this week after adopting a vegan diet earlier in 2017. Hamilton is the world’s 10th highest-paid athlete, according to Forbes. Thanks to his endorsements and brand deals with L’Oreal, Mercedes, and Puma — amongst others — the Formula One driver has an approximate net worth of £131 million ($172 million). Scott Jurek is an American ultramarathon runner, winner of 16 prestigious ultramarathon titles, and holds a personal record of running 165.7 miles over a 24 hour period — averaging 8:42 per mile. Jurek started his transition from “meat and potatoes” to a fully vegan diet during college, spurred on by the health defects and illnesses he saw at physical therapy school as well as in his own house; Jurek’s mother has multiple sclerosis. The ultrarunner saw veganism as a long-term solution to avoiding his family’s history of chronic disease, according to GQ. “If [athletes] aren’t fueled properly, they don’t have great results,” Jurek told GQ. Defoe is the seventh best goalscorer in Premier League history, scoring over 150 goals in the league to date. He plays for Bournemouth FC and the England national team — both as a striker. Defoe earns £65k a week on his current contract with Bournemouth. His net worth is estimated at $20 million (£15.2 million), according to The Richest. Defoe credited his “comeback” in March earlier this year to his vegan diet, according to Men’s Health. David Haye is a British boxer with world titles in two weight categories. In 2008, he won three of the four major boxing world titles at cruiserweight. He has an estimated net worth of $26 million (£19.8 million) based on Fight Saga’s recent evaluation and more recent fights. Haye researched the benefits of a plant-based diet on healing rates and recovery time after a serious shoulder injury prompted surgery and meant he had to take a break from the ring. He has now been vegan for four years. Talking to The Sun earlier this year about physical strength on a plant-based diet, Haye said: “[Apes are] 20 times stronger than humans and they don’t rely on a meat-based diet. They eat plants all day long. It’s a myth that you need meat for strength. Barny du Plessis is the world’s first vegan bodybuilder and Mr Universe 2014, amongst other national and international titles. Du Plessis went vegan after retiring from bodybuilding in 2013 due to an ever-growing list of health concerns which included hernias and acid reflux. After adopting a vegan lifestyle, the bodybuilder saw his fitness radically improve and he returned to the stage — winning the prestigious Mr Universe title in 2014. “These days I train half as much, do half as much but get better results. Why? Only one answer, going vegan, GMO free, and organic. My body is running perfectly,” du Plessis told the Metro. Hannah Teter is an American snowboarder and three-time Olympic medalist. She grew up in Vermont with her parents and older brothers (two of which are also Olympic snowboarders) in a fully sustainable house in the woods. Teter was taught to appreciate and love the environment from a young age, which brought her to vegetarian and vegan living after her gold medal achievement in 2010. Kendrick Farris is an American Olympic weightlifter and finished 11th in his weight class at the 2016 Olympic games in Rio de Janeiro. Farris made the decision to adopt a vegan diet based on religious reasons after the birth of his second son. In an interview with Men’s Fitness, Farris said: “You can replace [meat with pulses and vegetables], and it can taste amazing, and be better for your body — it’ll help with recovery, reduce stress and inflammation in the body. Tia Blanco is a professional surfer and winner of the Open Women’s World Surfing Championship 2015 and 2016. Blanco grew up vegetarian and decided to adopt a vegan diet in 2013 based on her love for the environment, the sea, and animals brought about by her passion for surfing. Nate Diaz is a mixed martial artist currently competing in UFC — the world’s biggest mixed martial arts organisation. Diaz first became vegan aged 18, inspired by his older brother and former welterweight champion in Strikeforce and WEC, Nick Diaz. “I think you’re a smarter and more intelligent fighter [when you go vegan]. Me and my brother are at the top of the game and have been for a long time. We’re obviously doing something right. Besides knowing how to kick somebody in the head, you should know how to feel good tomorrow,” Diaz told Men’s Journal. Meagan Duhamel is a four-time world champion and Olympic medalist pair skater. She is also a two-time Four Continents champion and a six-time Canadian national champion pair skater. Her career highlights so far include winning a silver medal at the 2014 Olympic games in the team event and winning every major championship (both national and international) in the 2014-2015 season. Duhamel adopted a vegan diet in 2008 after reading a book about veganism she spotted in an airport lounge. She read it cover-to-cover that night and emptied her fridge of all animal products the very next morning. Timothy Shieff is a professional freerunner. Shieff went vegan after suffering from mild tendonitis — a common condition where tendons become inflamed from overuse. Jack Lindquist is an American sprint cyclist and keen blogger. The cyclist adopted a vegan diet in 2005 after some close vegan friends explained the benefits of the regime to him. “[My friends] asked me what the difference was between the love I had for my dog, The Reverend, and any animal that was on a farm ready to be slaughtered. I didn’t have an answer, so that was that,” Lindquist said in an interview with fellow blogger, Trevor Lucius. “If nothing I am very driven by logic and reason, and not having a good reason to keep killing animals, whom I claimed to love, I stopped,” he said. Abel “Killa” Trujillo is a mixed martial artist currently competing in UFC. The American credits his titles to his vegan lifestyle — as well as compassion towards animals and the earth.